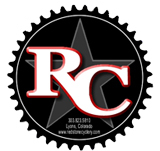 Redstone Cyclery specializes in custom bicycles built exactly the way you want, bikes you dream of. We are proud to represent fine frames from Turner, Intense, Transition, Ritchey, REEB, and Rocky Mountain. We don’t just sell complete bikes though. We are proud to represent a fine array of components as well. We are happy to sell them as part of a package or on their own.